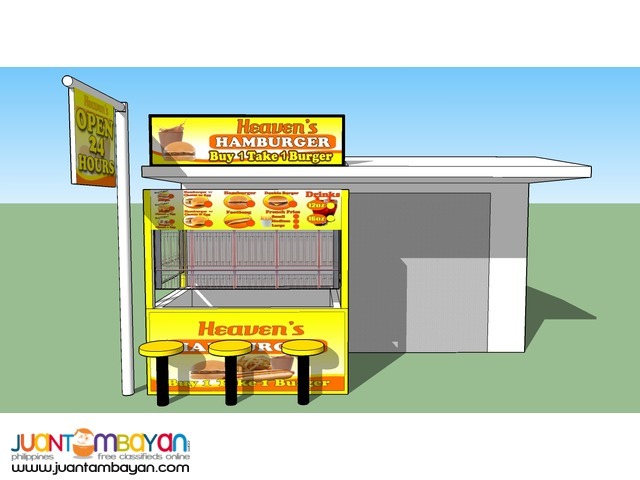 In 2009, Burger business boom in our country, especially the angel's burger, their famous buy 1 take 1 regular burger. 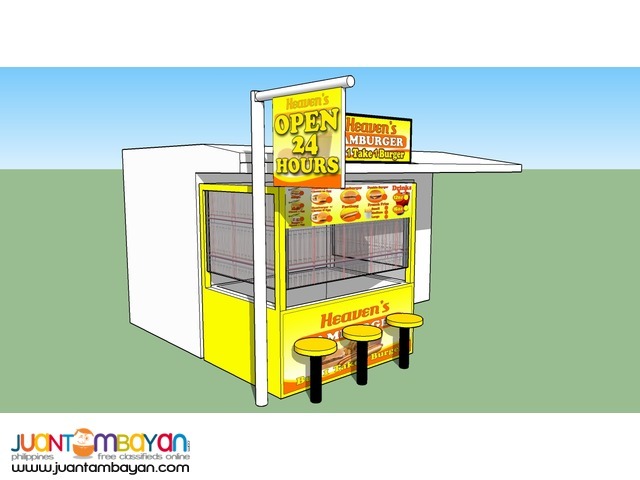 its so affordable yet satisfying taste. 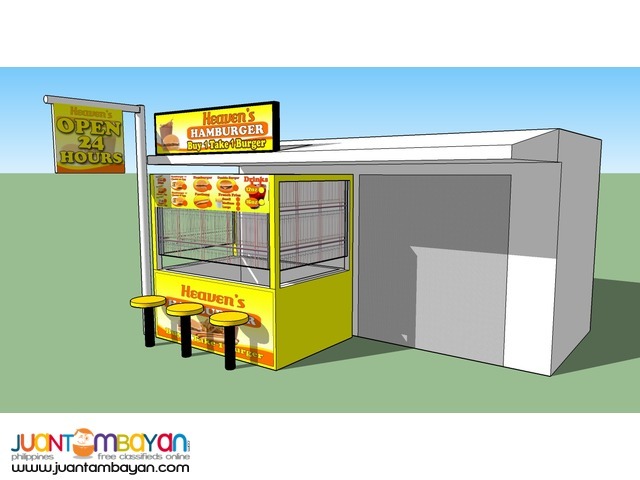 So FaB Suffrage Food Services Create the Heaven's Hamburger concept which is a buy 1 take 1 burger food cart. 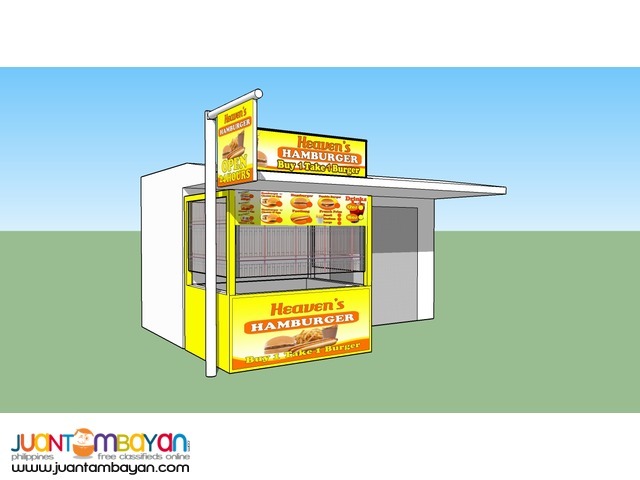 One of the high quality burger to franchise because of its taste and affordability. 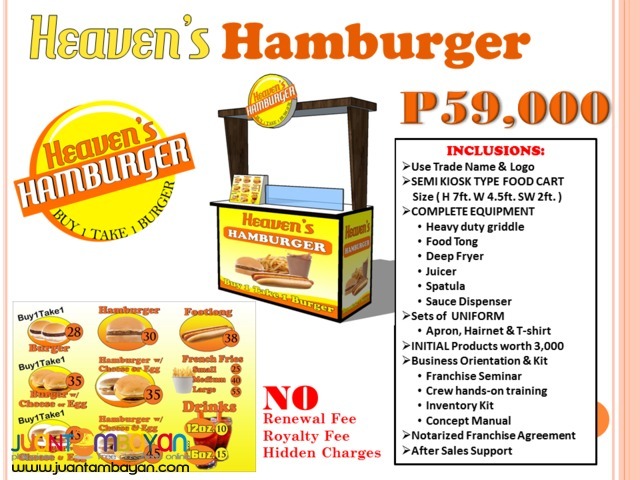 Heaven's Hamburger is now making its name as one of the delicious and affordable buy 1 take 1 burger along with the other leading concepts.